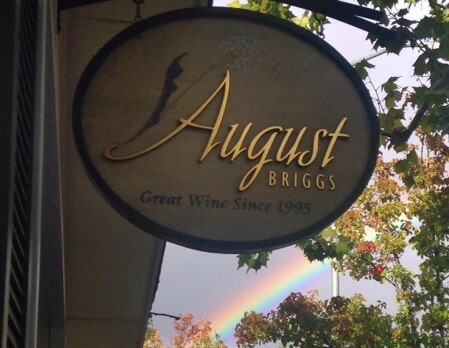 August Briggs Winery is an owner-managed craft producer of small lot and sustainably produced wines showcasing some of Napa and Sonoma’s premier vineyards focused on a restrained winemaking philosophy that highlights wines of provenance, not pretense. When you come visit us, it is likely you will meet with one of our welcoming owners, Matt and Colette, who live by their hands-on management style, ‘You get back what you put in’. Our eclectic portfolio includes single vineyard and appellation bottlings of Cabernet Sauvignon, Pinot Noir, Syrah, Petite Sirah, Pinot Meunier, Zinfandel, Petit Verdot, Chardonnay, Charbono and Pinot Blanc. Join our wine club in time for our new releases in the Spring shipment this March, 2019. We welcome you to enjoy our friendly and lively tasting room for a rotating selection of our delicious wines. We will guide you through samplings of our currently released wines. While many of our wines sell out quickly, we will always do our best to hold back some of our finest for our Napa Valley tasting guests. Our current tasting fees are $15-$20 and always waived with any wine purchase. Sign up for our newsletter to keep up date with all the happenings at August Briggs – from special offers, to thank you events to latest happenings in the vineyard and winery. Newsletter subscribers may from time to time receive special offers from August Briggs Winery. Subscribers may opt out of this service or cancel their newsletter subscription at anytime. We use your contact information only to serve you; we do not sell or share your contact information with outside parties except those involved in the shipment of wine to you.